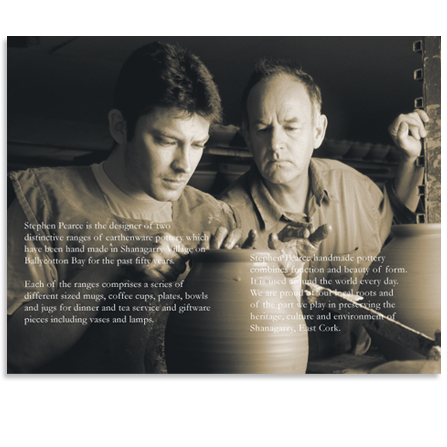 Stephen Pearce Pottery, based in Shanagarry, County Cork, is an internationally known firm with a distinctive brand. 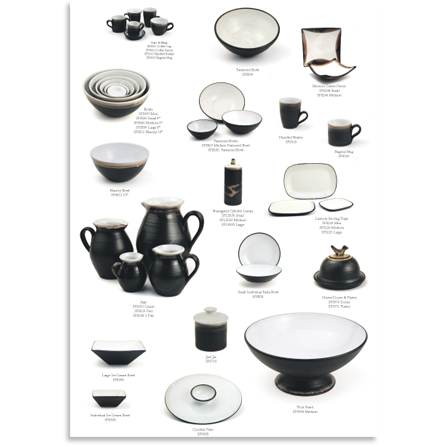 Stephen’s Classic and Shanagarry pottery styles are immediately identifiable. Webprint supplies Stephen Pearce with unprinted white newsprint. 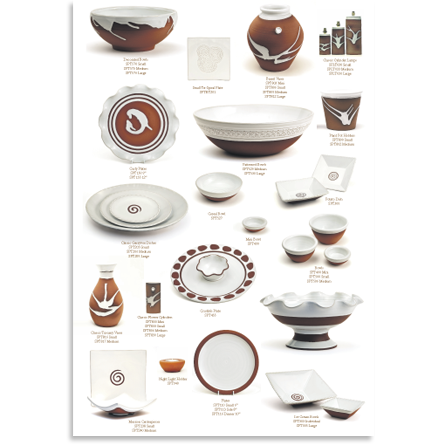 This is used unaltered as a packaging material to suit their organic product, which is sent worldwide. The firm planned to exhibit at the Spring Fair International at the NEC, Birmingham in February 2013. Due to the close working relationship built up, they approached Webprint about printing unique advertising material for this show. Webprint developed a double panoramic poster, which involved producing in a single pass a printed, glued, trimmed, quarter-folded, and boxed product. 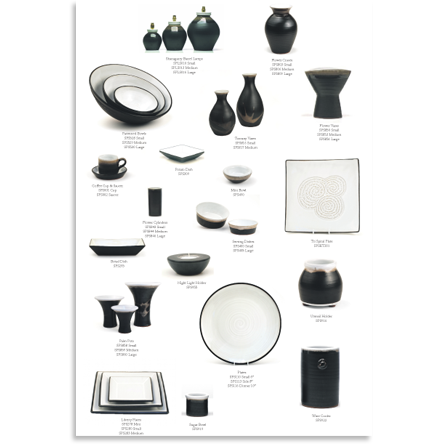 70gsm woodfree uncoated (103 brightness) fine-paper was selected on which to print the brochure as its bright, tactile quality was perfect for showcasing the pottery ranges. 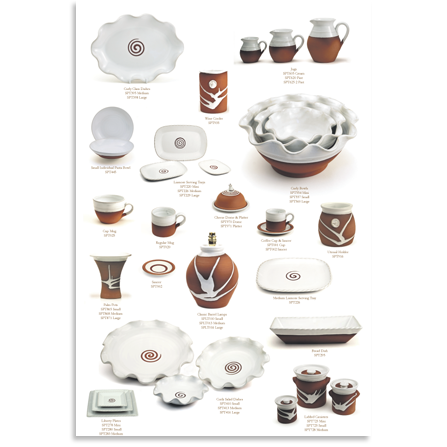 Stephen Pearce’s pottery designers and artwork designers worked closely with Webprint over a two week period to evolve and refine the product. The initial specification called for the product to be trimmed, but the designer, who was on site for the printing, preferred the feel of the uncut edge and asked for it not to be trimmed off. This highlighted Webprint’s capability and flexibility to meet customers’ changing requirements immediately.